His cousin Julian Schmoke Jr. was recently selected to lead the Department’s Student Aid Enforcement Unit. Speaking with The Brew, Schmoke confirmed that Julian Schmoke, a former dean of the for-profit DeVry University, is his first cousin. But Schmoke said he did not know his cousin was taking a job with the U.S. Education Department when he wrote to DeVos in January to invite her to speak at the University of Baltimore’s fall commencement. Schmoke said the DeVos invitation had no connection to his cousin’s federal appointment and that he invited DeVos because a speech from the nation’s top education official would be relevant and interesting. “I believe having the U.S. Secretary of Education deliver a commencement speech for your university is a benefit to the university,” he said. Schmoke likened questions about his cousin’s federal job to other inquiries he’s received since the announcement of the DeVos invitation sparked harsh criticism. “I’m sure a lot of people are digging deep,” he remarked. He noted that he’s been asked whether DeVos is being paid to give the speech (he said she is not), if the University signed a contract with her (“no, it was just a letter”) and if a donation was made to the University of Baltimore Foundation as part of the invitation. Schmoke said he knows of none. Schmoke, who was appointed university president in 2014, served as Baltimore mayor from 1987 to 1999. The appointment of Julian Schmoke Jr. by the Trump Administration, first reported last month by Politico, prompted harsh criticism from many education advocates and Congressional Democrats. In his Education Department role, Schmoke will be heading an agency established by the Obama administration to more aggressively combat fraud and deceptive practices at colleges and universities. Meanwhile DeVry, where Schmoke was an administrator from 2008 to 2012, recently settled several claims brought against it by regulators alleging it had engaged in some of the same abuses Schmoke’s unit is charged with eliminating. “DeVry’s parent company, which has since rebranded as Adtalem Global Education, last year agreed to pay $100 million to resolve allegations by the Federal Trade Commission that the for-profit college company misled students about their job and salary prospects,” according to Politico. Similar allegations led to a separate settlement with the Education Department. Those cases involving DeVry were cited when Obama-era Education Department announced the formation of the Student Aid Enforcement Unit last year. Critics said the selection of Schmoke highlighted the Administration’s close ties to the for-profit college industry. 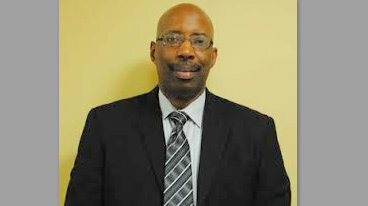 According to his LinkedIn page, Julian Schmoke most recently directed campus operations at West Georgia Technical College. Previously, Schmoke held several positions at DeVry, including as an associate program dean. In an internal memo circulated in August, federal officials described Schmoke as an education policy veteran. “Julian possesses over 16 years of experience in higher education leadership with extensive knowledge in the development and implementation of strategies for achieving student success, higher education policy and evaluation of academic programs,” the head of the Federal Student Aid Office, A. Wayne Johnson, wrote in an internal email obtained by Politico. Julian Schmoke has not yet responded to a request for comment sent through the Education department public affairs office. Outside Kurt Schmoke’s office, meanwhile, more than 100 student leaders and other demonstrators held a noontime rally to protest the choice of DeVos and call on Schmoke to take back the invitation. 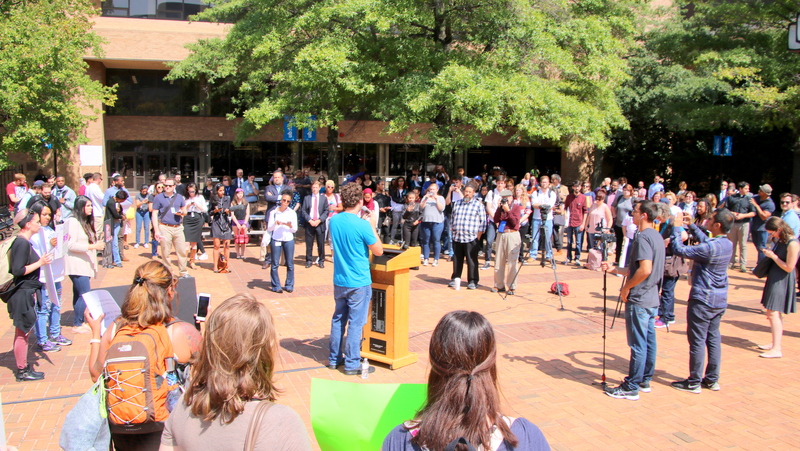 Since news of the decision broke last week, student leaders have been furious with Schmoke saying they should have been consulted much earlier about the choice of the controversial Trump appointee whose ideals, they said, conflict with the University’s. DeVos has said federal policy on campus sexual assault must be reviewed because it denies due process to the accused. 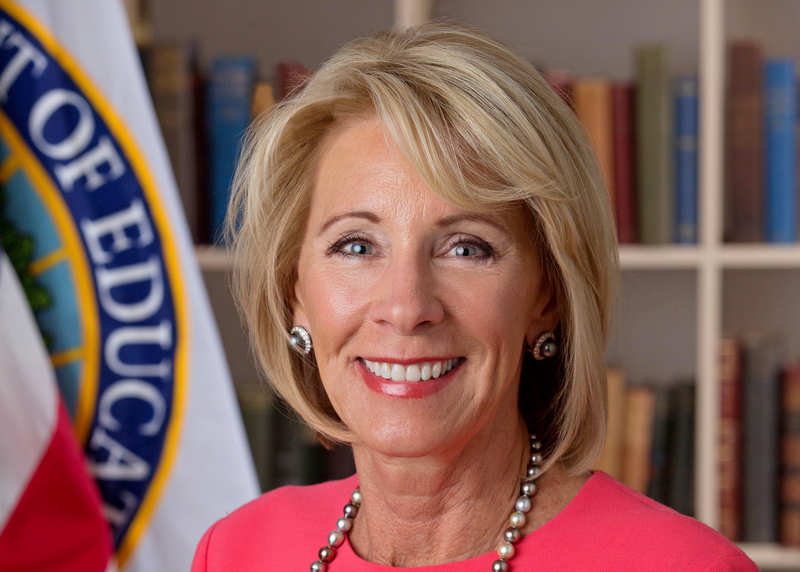 She delayed an Obama-era rule meant to protect student borrowers and she has been an advocate of school choice, charter schools and vouchers. Schmoke said DeVos’ position on charter schools should be heard and not be considered antithetical to the university’s ideals. 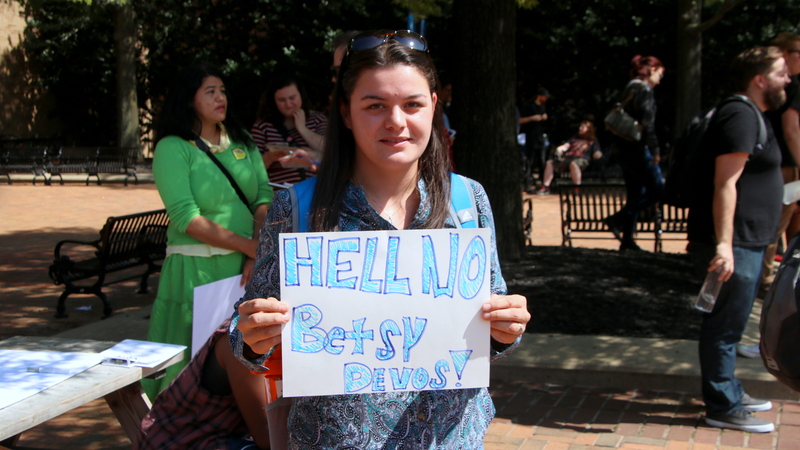 Benita Vargas-Brown, 27, a University of Baltimore student participant in the rally who grew up in Patterson Park and was awarded the Baltimore Scholars Program which allowed her to attend Johns Hopkins University for free after being accepted and attending public city schools, had a different view. “Charter schools don’t really help city students – they make it sound like they do but they don’t,” she said. Public schools and federal aid to students, Vargas-Brown said, are what helped her get back into college at University of Baltimore after she had to drop from Hopkins out when her parents passed away. “And those are two things I think DeVos wants to take away support from,” she said.